Fashion is art. It’s a form of self-expression and telling the world who you are. Which is why it’s essential to dress in clothes that make you look good and feel great. Here’s your personal style guide on how to style any outfit and look fitter. Either go mini-skirt short or long. Whatever you do, commit all the way. Anything knee length or calf-length cuts your legs and makes you look shorter. Opt for this floral lilac mini on a warm summer’s day on your next shopping expedition to Palladium. Wear a narrow belt around your waist to draw attentional to your natural waistline. This will give you an hour glass silhouette and make your frame look smaller. 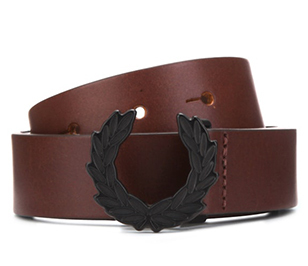 This brown belt with its minimalistic style and ultra-luxe matte finish leather are the epitome of sophistication making it an essential for you to own and adorn. Avoid short shorts that are tight at the thighs. Instead opt for shorts that flow which will give you the illusion of having fitter thighs and great legs. They’re perfect for a day at the beach or casual brunch with your colleagues. If your shoes aren’t making you feel great, are they even worth it? Add a few inches to your height by adorning some sky-high heels that will leave you feeling glamorous. 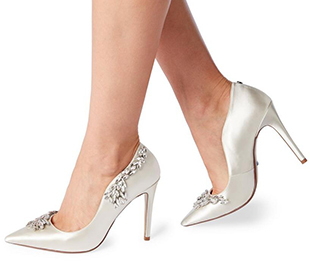 Invest in these ivory jewel cascade stiletto court shoes from Dune London to add a touch of glamour to your outfit. 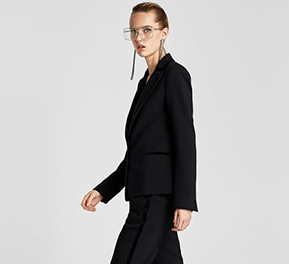 High waist pants when worn correctly makes you look leaner by making your lower body look elongated. Pair your high waist jeans with a crop top or a tucked in shirt to highlight your elevated waist. 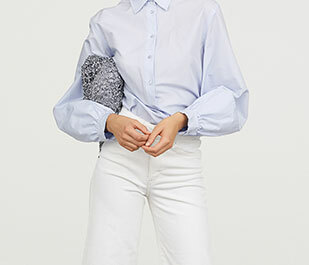 These denim culottes from H&M with a frayed hemline are just what you need to look effortlessly stylish.